CSMON-LIFE aims for a new approach involving citizens in expanding and improving scientific knowledge about management and biodiversity protection based in Italy. 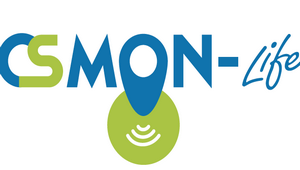 CSMON-LIFE aims also to promote active collaboration among scientists. Governments and citizens in monitoring and protection of biodiversity; helping progress towards the objectives of the European 2020 strategy for biodiversity. The project uses the new technological devices such as smartphones and tablets, to collect primary data geo-referenced of biodiversity. These data, once validated scientifically; will be integrated into the National Biodiversity Network. CIHEAM-Bari carries on a campaign directly targeted to marine alien species as indicators of changes in environmental characteristics and biodiversity. Fact sheets on targeted species and related problems arising from their presence are compiled and then disseminated to fishermen so that they can properly identify them. Data collection through different means (app, e-mail, mobile) will constitute a study about the occurrence of these species in our sea.